The mechanisms that transform an innovation into a trend and then into a widely accepted norm (or a flash in the pan) can be investigated at many levels. Scholars in the Department of English at LMU are monitoring the process at the level of everyday speech. 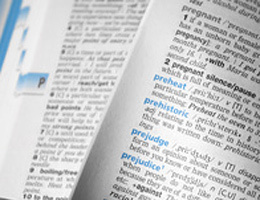 As part of a DFG-funded project devoted to the study of “Incipient Diffusion of Lexical Innovations”, Principal Investigator Professor Hans-Jörg Schmid and his colleagues have developed a custom-tailored software for this purpose, which they use to trace the creation, propagation and lifespan of English neologisms on the Internet. They call their program ‘NeoCrawler’ (thus contributing a coinage of their own to the language).